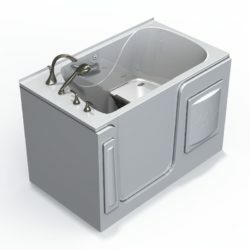 A tub cut conversion offer a cost effective safe bathing solution. 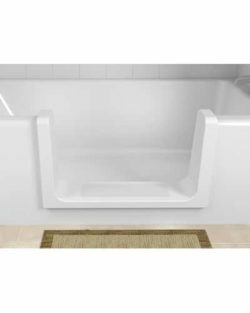 For seniors living in British Columbia’s Lower Mainland, Orca tub cuts is one the easiest ways to modify your bathtub into an accessible shower. We believe that all seniors should be afforded the ability to stay in their homes for as long as possible. Tub cuts offer a cost effective and economical alternative for seniors, allowing you to age with confidence in your own home. One of the biggest barriers to seniors and people with disabilities is the bathroom. Traditional bathtubs can present difficult and dangerous situations for people with limited mobility. You can maintain your independence and dignity with a bathtub cut out. Tub cuts allow you to transform your existing bathtub into a safe and accessible walk-in shower. 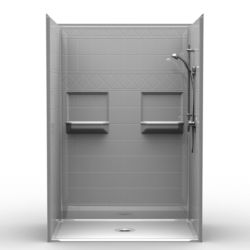 Converting your existing bathtub to a walk-in shower is an economical alternative that is fast and convenient. Our tub cut installers will cut out a section of your existing bathtub and install a threshold allowing you to step through the bathtub wall. Installation involves cutting a section of the existing tub and fitting the resulting opening with a step-in shower conversion kit. The conversion process has no impact on the existing plumbing, floor or walls. We simply cut a section from the wall of the tub and seal it with a durable insert. Remove the danger of slipping and falling with an ORCA TubCut. The lowered threshold means that you will no longer have to step over the bathtub wall, removing the danger of slipping and falling. We also offer additional bathing accessories such as grab bars and seats to provide additional safety and security. 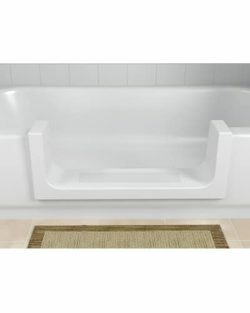 Tub cutting for seniors works on most standard bathtubs. Orca TubCut creates an entry opening of 24” wide by 8.5” deep and is perfect for tubs that are 14” to 17” high. 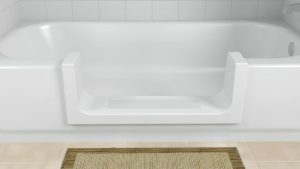 If you have a deep soaker tub, our Orca Ultra Low creates an entry opening of 24” wide by 14” deep. Conversion process does not impact the existing plumbing or bathroom infrastructure. Short installation time – no delay in enjoying your bathing experience! Bathing accessories available to upgrade your experience. A tub cut can provide you or your loved ones with a safe bathing experience. Improved accessibility will allow you to stay in your home for as long as possible. Converting a bathtub to a walk-in shower provides you with the safe and stable bathing environment that you deserve. 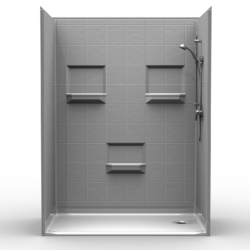 Tub cuts offer the quickest and most economical solution for maintaining independence. 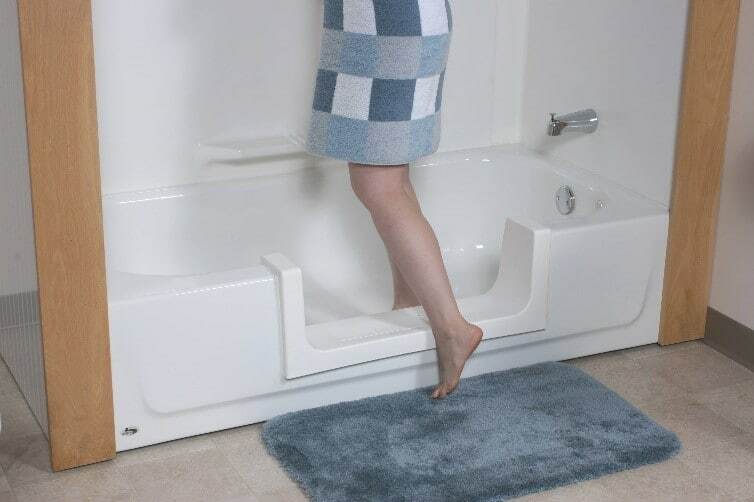 A bathtub cut out will reduce the strain and stress that traditional bathtubs place on the elderly, disabled, and caregivers. They allow you to bathe independently and with dignity without the financial burden of an entire bathroom renovation.